Cloud wields a Hardedge-like weapon. 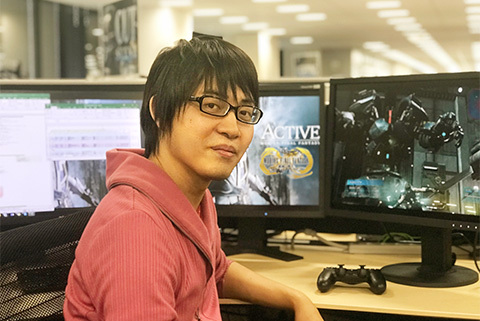 The Square Enix Business Division 1 recruitment page was updated today with a new photo of Final Fantasy VII Remake development leader Naoki Hamaguchi, who is sitting in front of monitor with a new screenshot of the game. The screenshot appears to show Cloud taking on an enemy while wielding a Hardedge-like weapon.